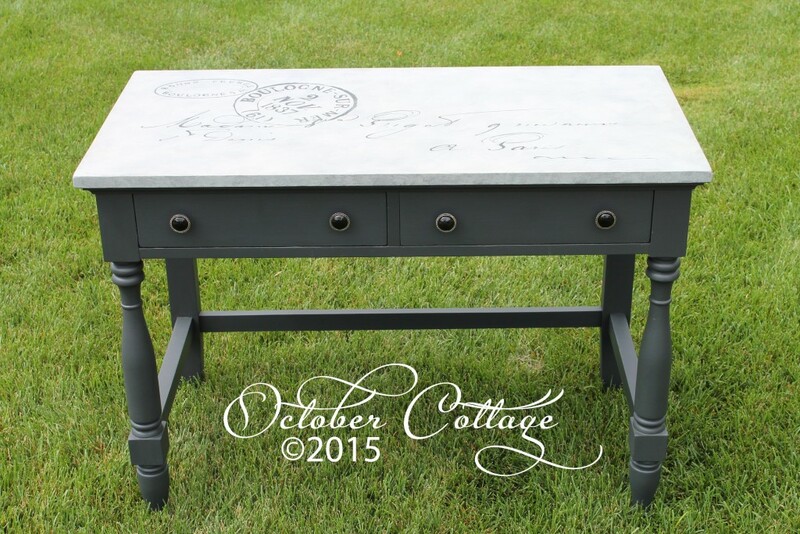 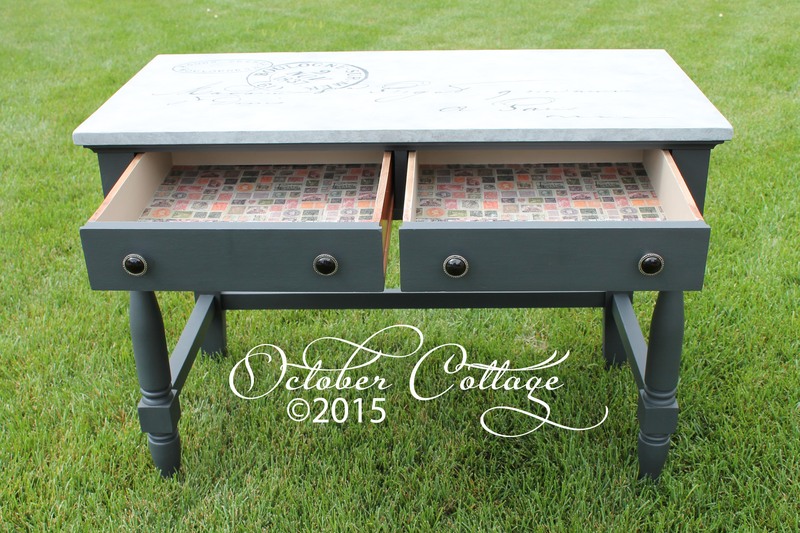 One of our favorite pieces, this desk was hand-painted and hand-lettered. 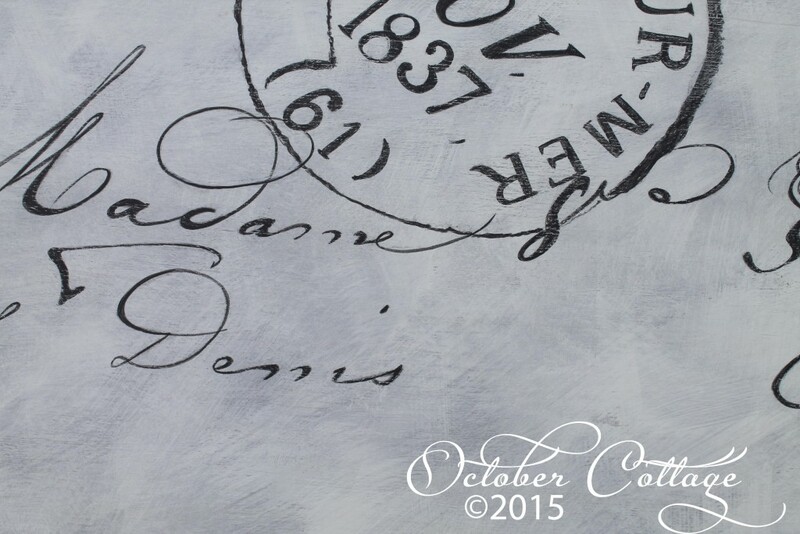 The desk surface has a French letter lovingly hand-painted, each line and stroke brushed on to create a look very similar to the quill pen that was originally used in the letter. 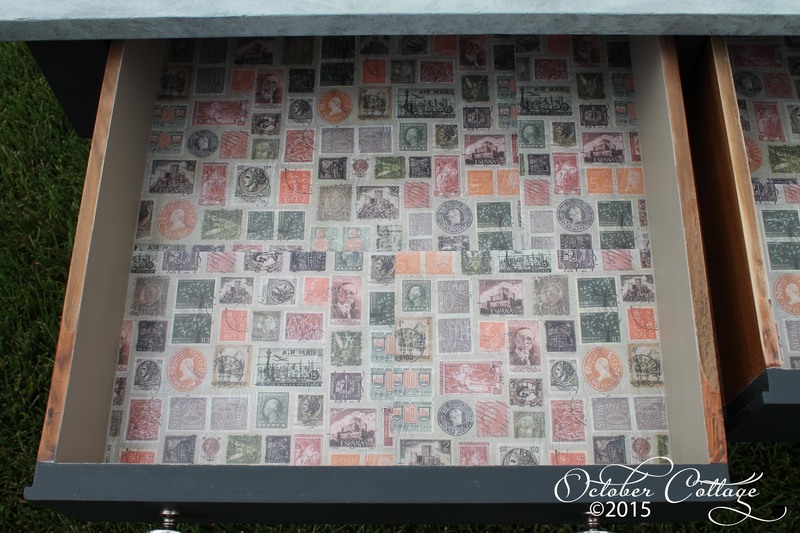 Each drawer has a decoupage of a graphic of stamps from all over the world. 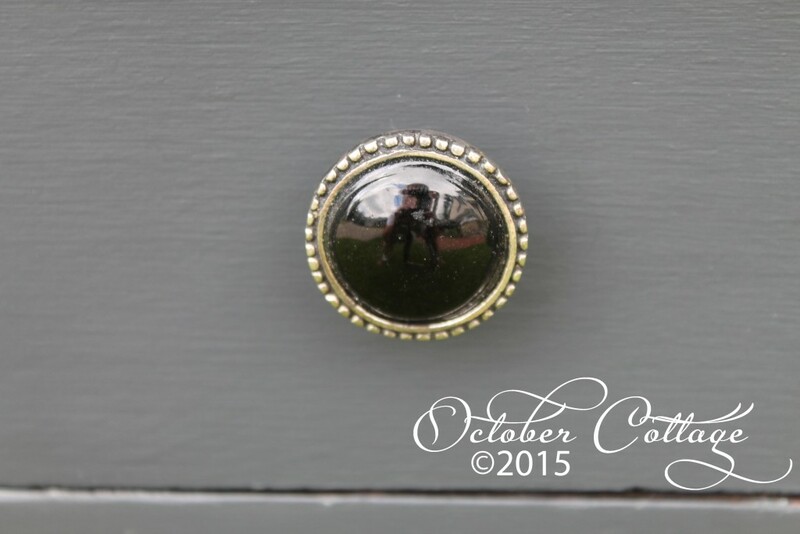 The glass and metal knobs add an elegant look.